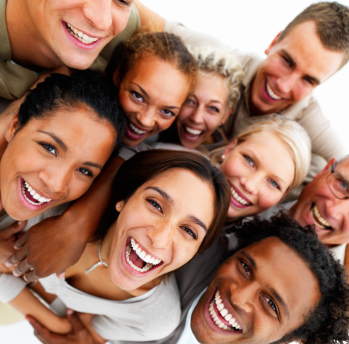 National Smile Month is smiling down on the United Kingdom this year from May 18 to June 18. National Smile Month is dedicated to raising awareness of the importance of good oral health care in adults and children. Now in its 39th year, National Smile Month is the U.K.’s largest dental awareness campaign and is expanding to other countries including Ireland and the United Arab Emirates. Principals emphasized during this healthy teeth month include brushing teeth at least twice a day with fluoride toothpaste, minimizing the intake of sugary drinks and food, and visiting a family dentist regularly. The campaign also promotes creative ideas and techniques to help you have fun taking care of your teeth. So how can Americans in the United States and abroad support their neighbors across the pond? To start, we can model good dental care techniques to our children, take and post selfies of big smiles and healthy dental practices on social media, create displays emphasizing the importance of oral health, and visit Dakota Dental Apple Valley dentistry. Similar to National Smile Month in the U.K., Dakota Dental takes time to promote dental awareness and community dental care practices by visiting schools and local civic groups. The family dentists and dental services professionals at Dakota Dental also participate in the annual “Give Kids A Smile” program which provides free dental care to children in need. To schedule an appointment at the Dakota Dental Apple Valley dental clinic or to arrange for the MN dentists to visit your school or organization, call 952-431-5774 or visit www.DakotaDental.